Sell Your Greenville House Quickly without Hassle or Obligations. We buy houses in all Upstate Counties including Greenville-Spartanburg-Anderson- SC -in any condition… as-is… so you can move on with your life. Need to sell your home quickly in Greenville or surrounding areas… we’d like to make you a fair all-cash offer. Want to sell for market value and not pay realtor fees, commissions or closing cost? Just ask Mason about “Your Price Our Terms” program. Give us a call at 864-626-0393 to get a quick offer over the phone today or fill out the simple form on this site. We buy houses Greenville -in any condition… as-is… let us take over the burden of that unwanted property and give you peace of mind. Give Us a call to see how we can buy your Greenville house. You’ve tried to sell your house but are running into hay bails. You probably even tried calling a real estate broker. 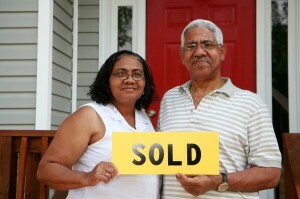 We Buy Houses Fast In Greenville And Surrounding Areas! If you prefer to talk to someone in our office before submitting your property information just give us a call today at 864-300-2110 or check us out on Facebook! We buy houses in Greenville, SC and all surrounding areas in SC also listed by zipcode, 29604, 29605, 29608, 29609,29613, 29601 ,29602 ,29603 ,29606 ,29607 ,29610 ,29611,29614,29615 ,29616 ,29617 Zip Codes.